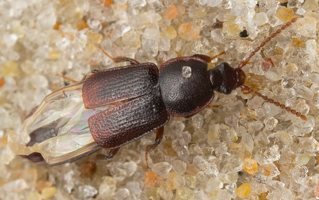 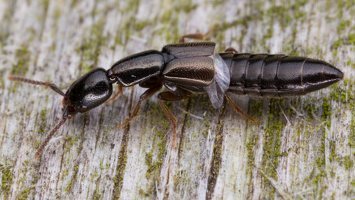 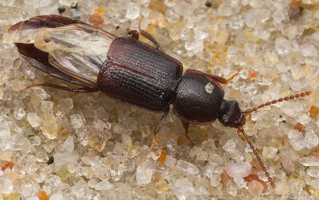 EN · rove beetles DE · Kurzflügler LV · īsspārņu dzimta PL · kusakowate RU · стафилини́ды, коротконадкрылые жуки Infraorder: Staphyliniformia Superfamily: Staphylinoidea Mostly short elytra that leave more than half of abdomen exposed. 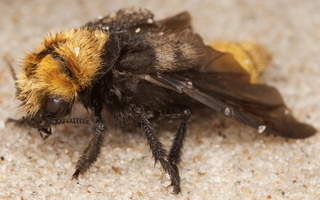 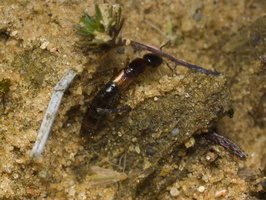 The abdomen may be very long and flexible. 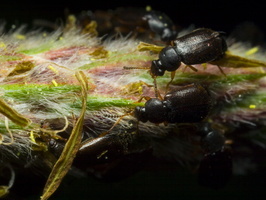 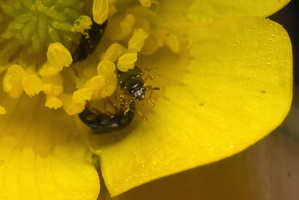 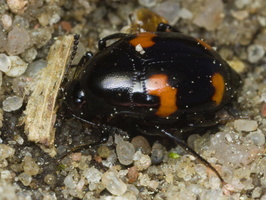 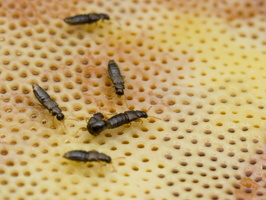 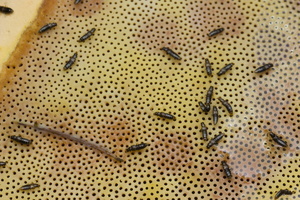 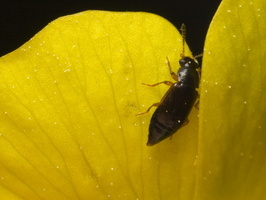 The antennae are usually 11 segmented and filiform, with moderate clubbing in some genera. 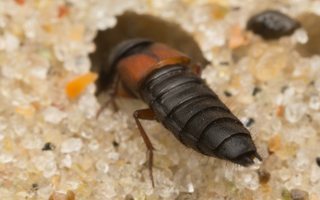 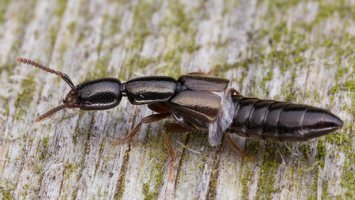 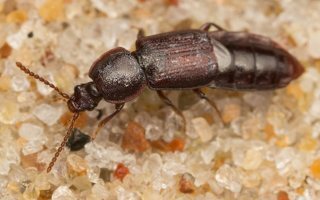 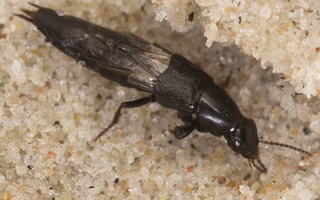 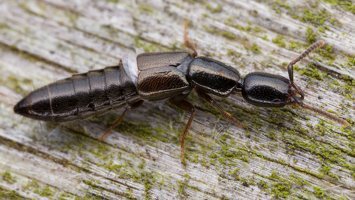 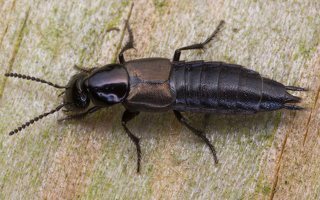 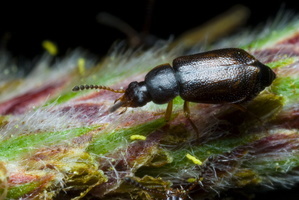 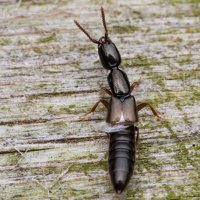 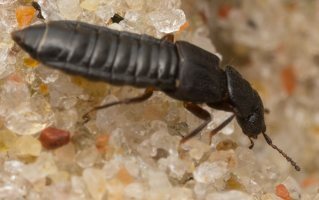 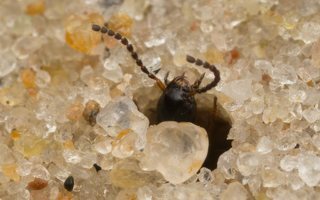 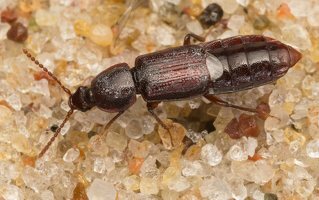 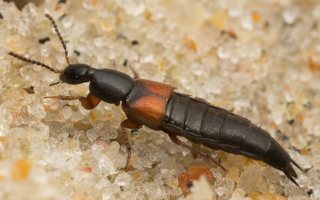 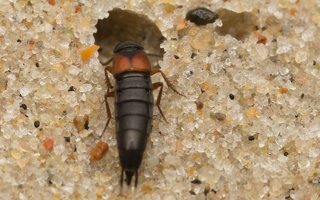 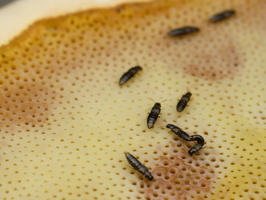 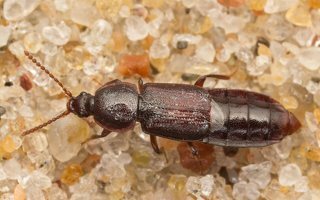 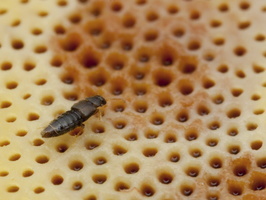 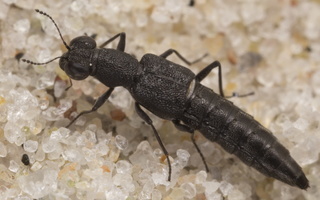 Rove beetles are known from every type of habitat that beetles occur in, and their diets include just about everything except the living tissues of higher plants. 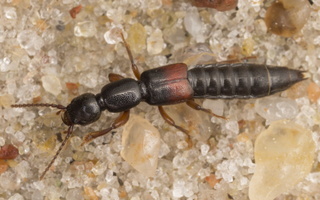 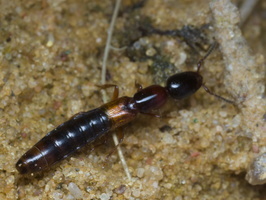 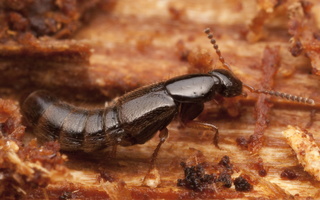 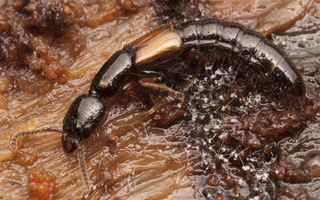 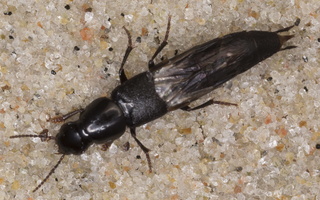 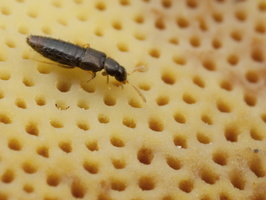 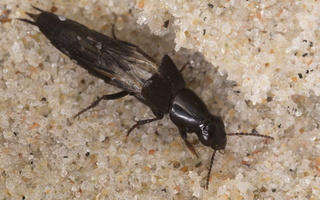 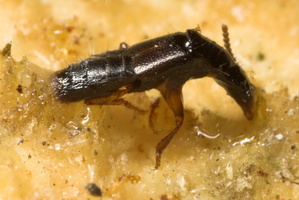 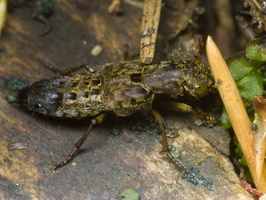 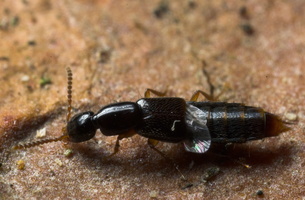 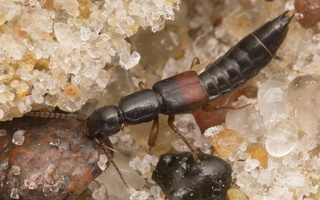 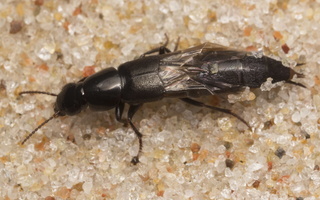 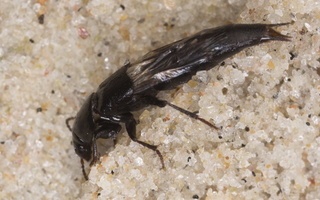 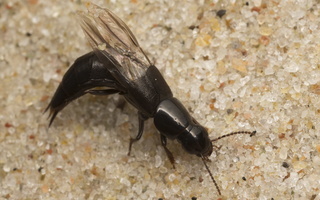 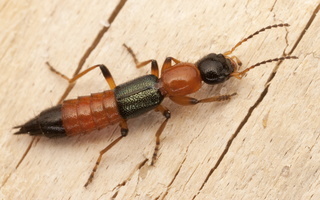 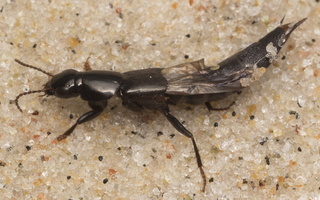 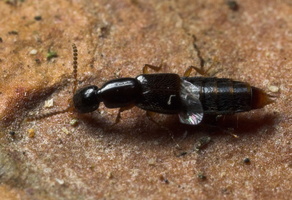 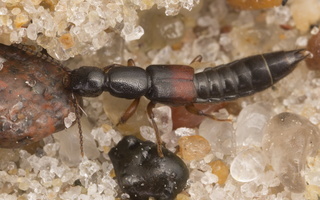 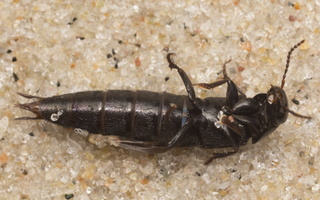 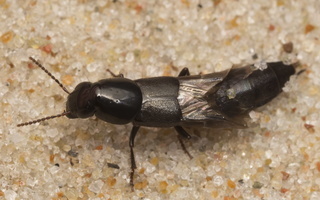 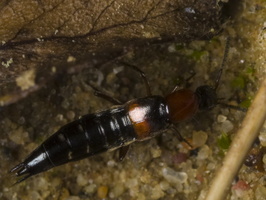 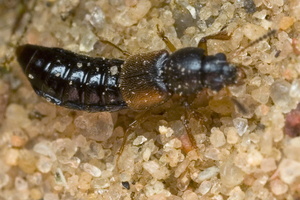 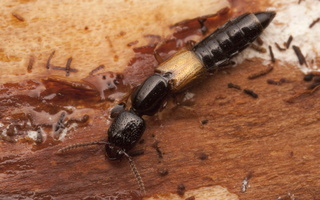 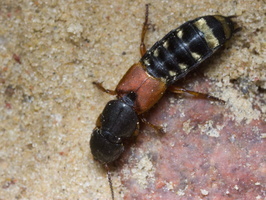 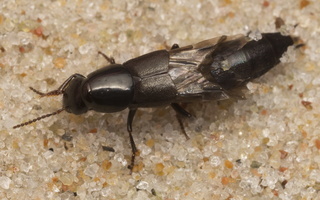 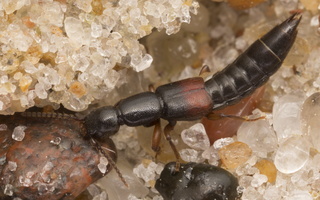 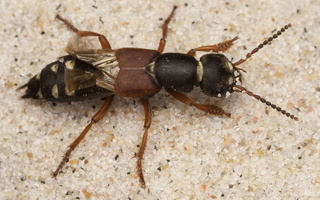 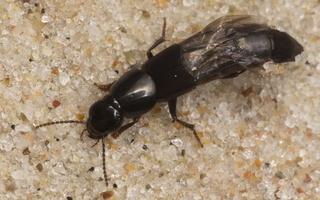 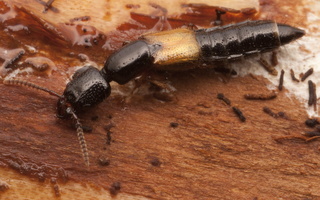 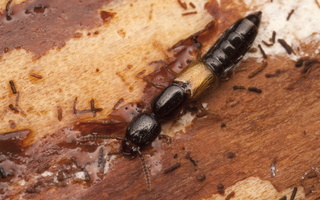 Most rove beetles are predators of insects and other kinds of invertebrates, living in forest leaf litter and similar kinds of decaying plant matter. 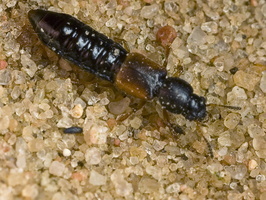 They are also commonly found under stones, and around freshwater margins.